That’s right; his small adolescent that was currently being ridiculed wasn’t someone else—it was precisely Shen Yanxiao after she’d put on her disguise. Before she’d departed, she’d intentionally allowed Shen Feng to have the luxurious carriage changed into a common carriage, and to have her entire set of gorgeous clothes to be changed to ones made of ordinary material. Even her identity had been changed: from a young lady that hadn’t yet grown up, to a half-mature adolescent boy. The retinue that Shen Feng had originally wanted to dispatch with her was also left behind by her at the Vermillion Bird Clan. It was very evident that Shen Yanxiao’s excessively low-profile outfit made her become an existence that was both warm and affable to the eyes of some people. If the adolescents in front of her knew that the person they were ridiculing was actually the next clan leader of the Vermillion Bird Clan, it’s very likely that they’d’ve long ago pissed their pants in terror. Who would’ve thought that the heir of one of the 5 grand large clans would dress up like a commoner, and appear at the Holy Roland School’s enrollment site? It was just as those few youngsters had said; if one desired to be a pharmaceutical student, one had to be extremely wealthy. As for the students that were currently enrolling for the pharmaceutical branch, all of them were wearing brocade and flowery clothing. The degree of the displayed lavishness could be compared to a modern era fashion show conference. These new students all seemed to itch to have their entire bodies fully covered with luxury goods—precious stones that flickered with lustre, and dazzling and flashing golden ornaments capable of blinding people were used to flaunt their respected clan’s robust strength in that their respected clans could afford to entirely use money to grind out a pharmacist. Confronting the group of adolescents that were intimidatingly rich like this, Shen Yanxiao’s hand had become…itchy. Fat lambs! 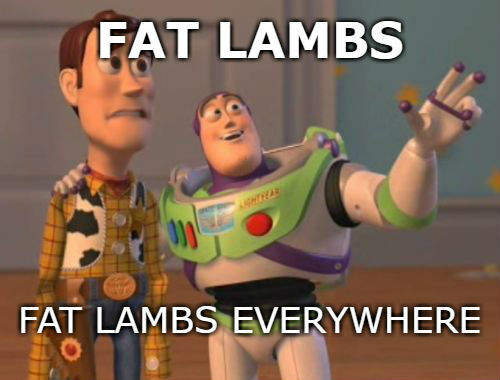 Fat lambs everywhere!! To put an exceptional godly thief like her into a group of disciples from wealthy clans that weren’t the least bit guarded against her… was equal to having a rat that was always hungry and throwing it into a jar. Rather than having repressed desires, she might as well make a move. Shen Yanxiao immediately tilted her head down, and then began to shuttle through the crowded tide of people. As a result of a certain someone being excessively low-key, everyone that was currently present simply didn’t take note of the unprepossessing ugly-duckling-like existence, as all of them were all still minding their own business as they waited for the test to start. Most scarcely realised that the purse that‘d been on their waists had long disappeared, along with the heartless little thief, without a trace. The luxury goods that had been on their wrists had already eloped from their persons as well. Money is an inherently good thing. No matter how much more there was, there wouldn’t be anyone that’d avoid it out of dislike. The pharmaceutical branch’s exam had continuously and unceasingly continued onwards, but when confronted with up to several thousands of new students, the testing speed could practically be considered negligible. This also gave a certain person enough time to make a move on this giant group of fat sheep. Shen Yanxiao had already returned from the upsurging crowd without spending much effort, and her storage ring was once again crammed with gold coins, which had been consumed from paying Qi Meng. There was only one word to describe this feeling from returning from a rewarding journey: pleasurable! It wasn’t until afternoon that there was finally some progress in the line, where people were waiting to enroll in the pharmaceutical branch. Only after being certain that she was no longer able to take any more things, did she stand in line to wait for the exam in a well-behaved manner. Not long afterwards, she was at the forefront of the line; the place where the pharmaceutical branch was currently enrolling new students. Tens of the school’s tutors were setting up batch after batch of the school’s test. Of the group of tutors, the one that was in charge of Shen Yanxiao was a middle-aged male with an exceedingly solemn appearance. After glancing over the current batch of new students that were standing before him, he easily chose over twenty people, Shen Yanxiao included. After saying that, he turned around and walked over to the entrance exam hall. if people like us dropped into the wuxia world, we’d have squat to show for all the growing up we’ve done in our modern world. I can’t steal, fight, plot, plan or even kill a frog. The chapters are killing me, I’ll come back again after a month of releases. Thanks for all the chapters so far. Her plan to look normal completely backfires because ‘normal’ for the pharmaceutical branch translates to ‘outrageously rich’ and if a fuss gets made about all the thievery they’re going to accuse her just because she looks poor. I thought about that, but, since she can turn a corner and almost literally become another person, she’ll probably be OK.
Hahhaha, like the buzz and woody pic then the caption. Hilarious! I was gonna say the same. Buzz’s face is especially perfect for the circumstance. She just magnificently milking those fat lambs. Thanks for the chapter. Hehe…they may come in rich, but they are going to leave without even the clothes on their backs left. Besides, even if she did get caught, what next? If she really needs an escape, she can reveal that she’s the heir to the Vermillion clan. Plus, she could always just change her identity at a whim. They won’t catch her and there will be a lot of poor little rich brats crying their way home. the pic is great!! hahaha yanxiao is like a wolf in a lamb cage!! Thanks for the chapter. Have to give it to her on her broad views of these idiots. Fat lambs. Wish her storage ring has bigger space. He He. Fat lambs? Where? Can we grill them?